The Snow Trek 60 gear sled by Pelican is a sturdy utility sled designed to carry lots of gear to your winter destination. It is only offered in black plastic and includes a light duty hand-pulling rope. This gear sled can be pulled by hand, ATV, or snowmobile. Pulling by ATV or snowmobile requires an optional hitch, offered by Pelican. 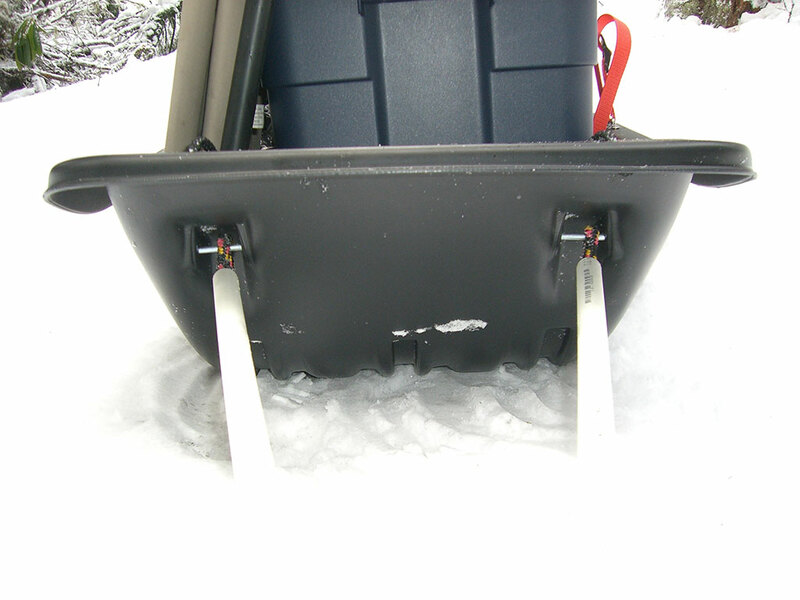 The Snow Trek 60 utility sled features molded mounting points in the front for attaching a hitch (when towing by ATV or snowmobile) or pulk poles (when pulling by hand). The built-in runners help the sled track straight in the snow. Pelican offers an optional RAM-X runners kit to help extend the life of the sled. 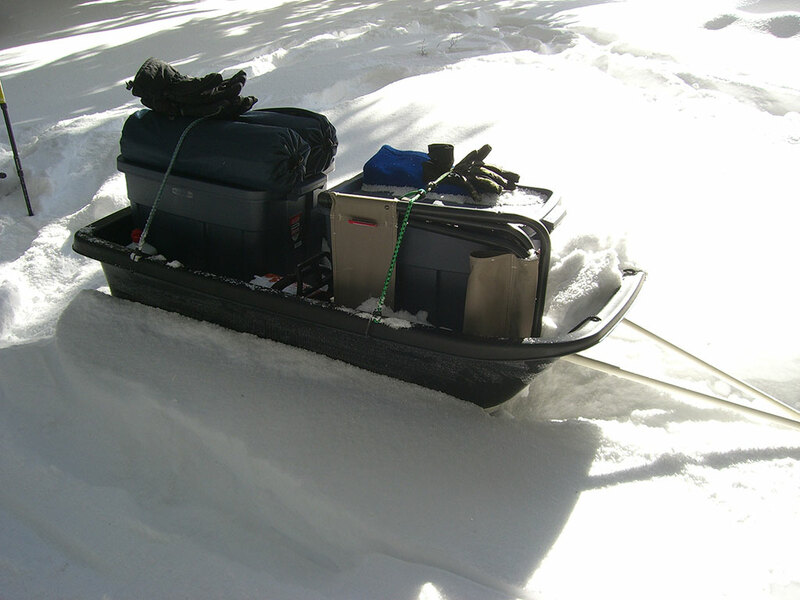 The Pelican Snow Trek 60 is approximately the same length as the Paris Expedition Sled. The main difference is the Snow Trek 60 is about 4 inches wider and 6 inches deeper than the Paris Expedition. These increases in width and depth make it more stable and less prone to tip-overs. 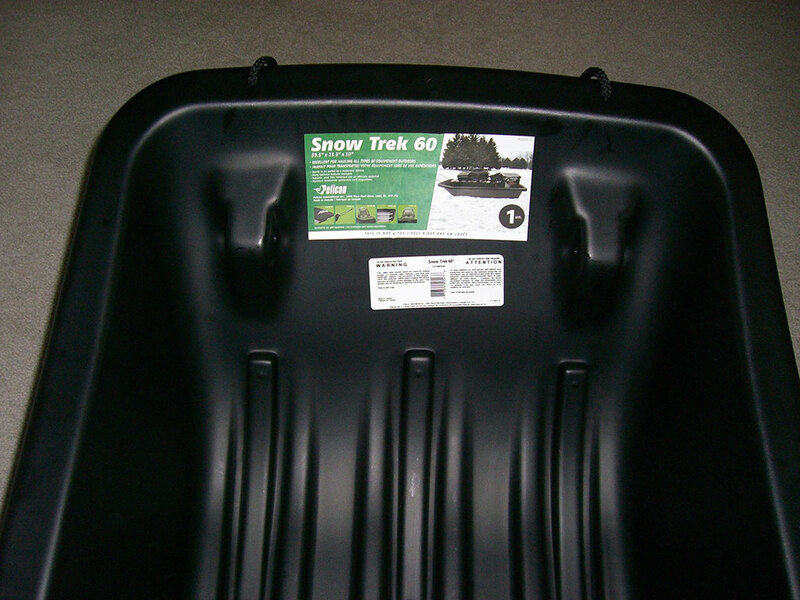 The extra 10 pound weight of the Snow Trek 60 is due to the larger dimensions and thicker plastic construction. This also increases stiffness and durability. The Snow Trek 60 feels extremely sturdy. The stiff sides make lashing gear effortless. Bungee cords can be used without any modifications to the sled. I recently added footman loops to the sides to make lashing my gear with webbing extremely easy and secure. I have only used the Snow Trek 60 as a pulk sled pulled by my own power. 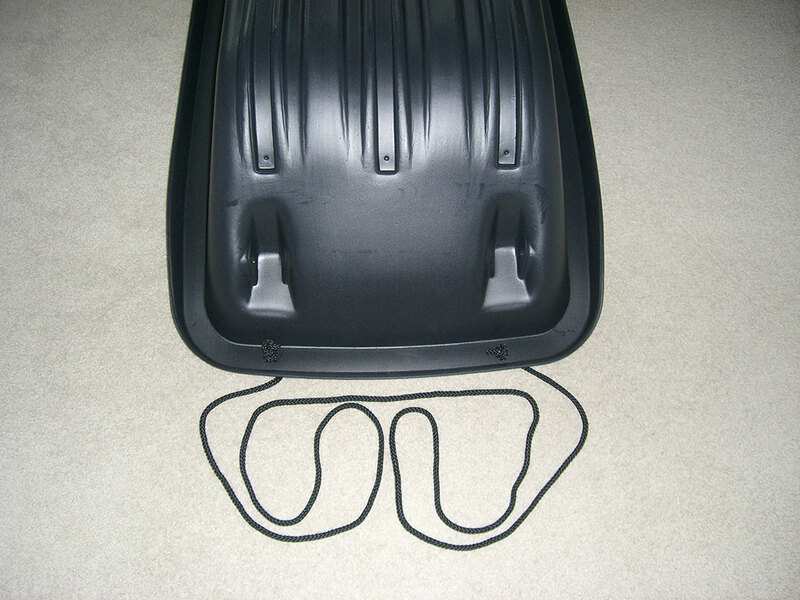 There are pre-molded pole or hitch attachment points on the front of the sled. With the use of a 1/4 inch x 2 inch hitch pin, it is effortless to attach and disconnect poles. I use 5-foot long, 1/2 inch PVC pipe with 3/8 inch diameter rope inside to connect the sled to my hip belt. Click here for instructions on building pulk poles. With the poles crossed, this setup works very well for maintaining control of the sled while pulling up or down hills. It tracks right behind me and doesn't run me over during descents. This gear sled could very easily be pulled behind a snowmobile. Pelican even sells an optional accessory hitch for this purpose. I have not tested this capability as my adventures have always been man-powered. This Pelican gear sled can easily fit two 18-gallon tote bins. This is how I usually carry the bulk of my gear in order to keep it dry. They are more cost-effective than a large waterproof duffel bag. They can even double as forms for snow blocks when the contents are emptied. When placed on the sled, there is still space beside each bin to place other gear, like an axe or camp stool. In addition, there is room in front or between the bins (depending on how you place them) for even more gear. While the Pelican Snow Trek 60 is not designed for or recommended for human passengers, it works quite well for recreational sledding. After a handful of steep sledding runs, the gear sled shows no sign of stress or wear even with numerous leaps into the air. 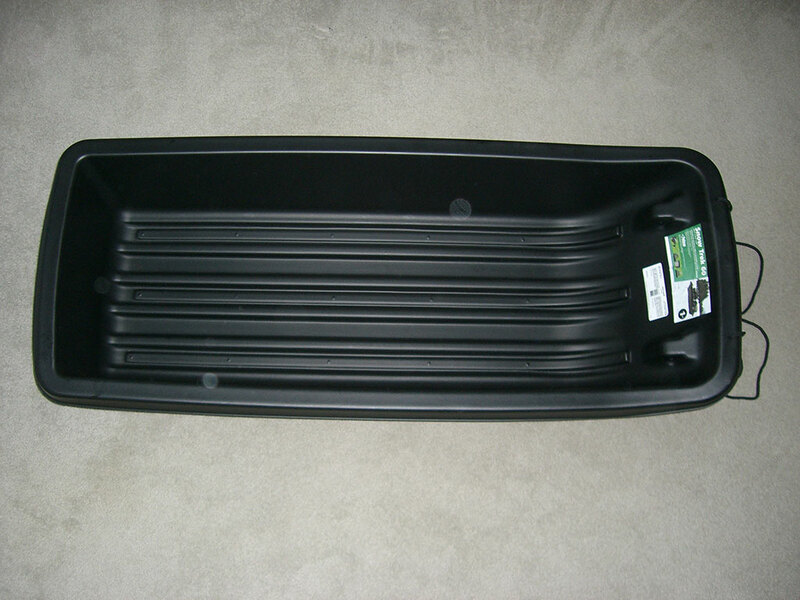 This sled could easily carry a child and gear, but be careful when hauling any human passenger. See "Snow Camping At Twin Lakes" and "Snow Camping in Upper Clackamas" adventures where this pulk sled was used. I am very happy with my Pelican Snow Trek 60 sled. It was worked very well on my snowshoeing trips and makes getting gear to my snow camps relatively painless. 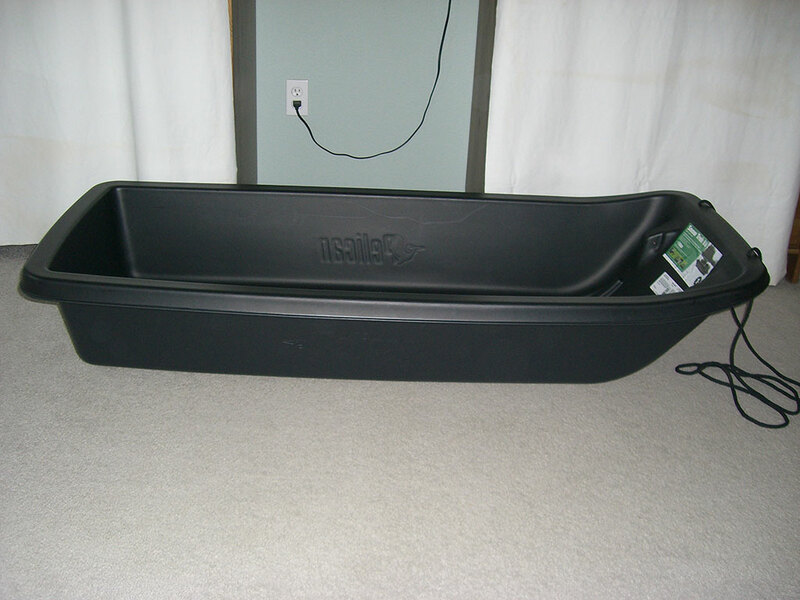 I would recommend it over the Paris Expedition sled due to its wider dimensions and more versatile mounting options. I would imagine using pre-fabricated pulk poles from Ed's Wilderness Systems (skipulk.com) would also work nicely with this pulk sled. Available from amazon.com. 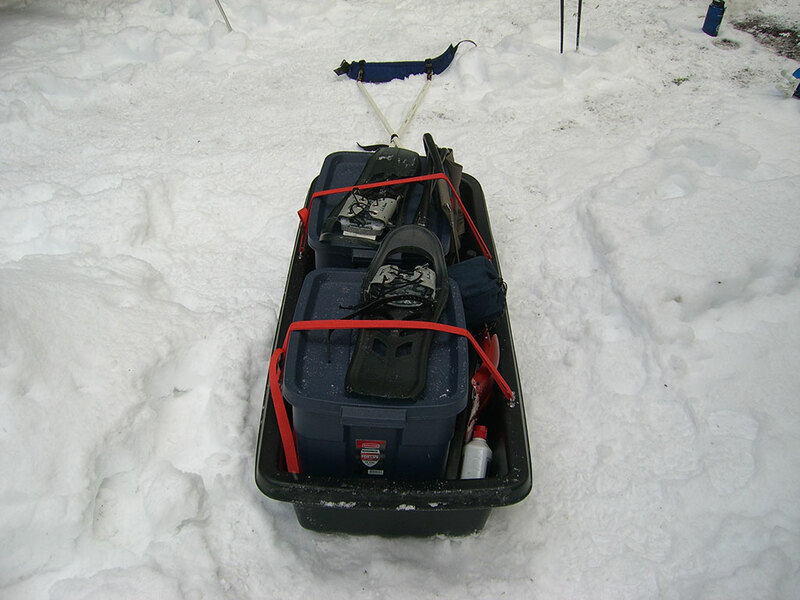 I have recently tested the Pelican Snow Trek 60 gear sled by towing behind my snowmobile. I added Pelican's metal hitch and the connection between gear sled and snowmobile is solid. Just like when pulling with man power, the sled tracks great when pulled by snowmobile at 15-30 mph. It is less prone to tipping because of the snowmobile track which is about the same width of the gear sled. 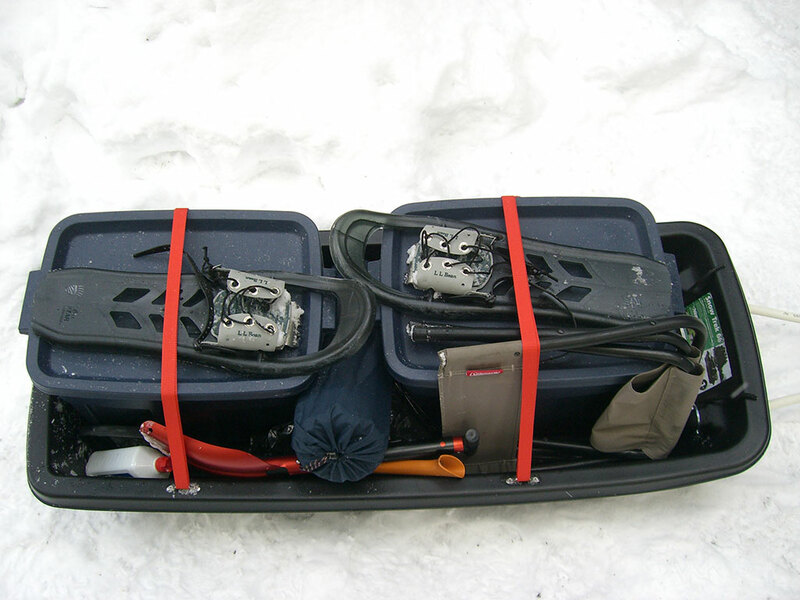 The Snow Trek 60 is a durable all around gear sled with lots of space for any snowbound adventure. I recently bought one of these Pelican sleds at Canadian Tire. 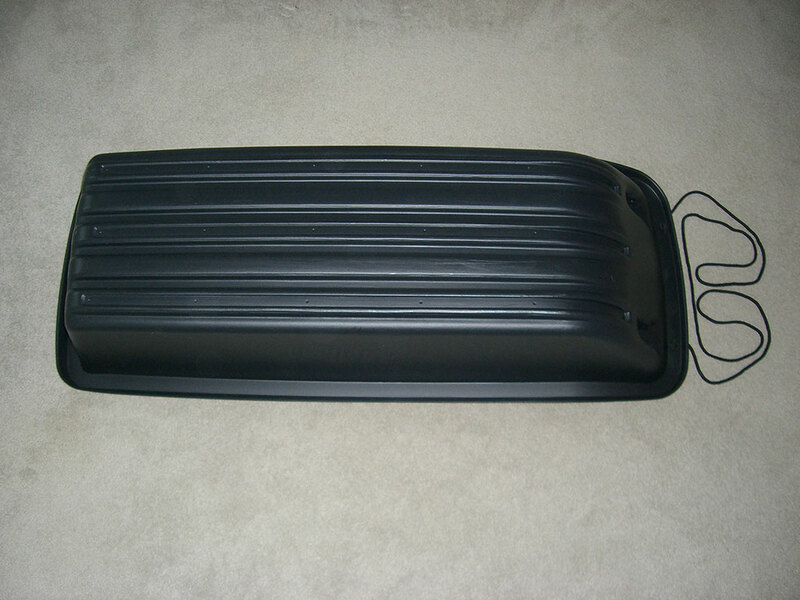 Can you tell me where I can buy the teflon undersled runners? I am not sure where to get the runners Danny. I suggest doing an internet search if you can't find them locally. I am trying to locate a store in the USA that has the Pelican Snow Trek 60 in stock. Any suggestions. I think I have tried all logical sources in Portland, Oregon. You might try Ace Hardware in Sandy, OR. That is where I purchased mine, but it has been a couple years. Amazon.com sometimes has them in stock. It is usually easier to find online earlier in the season before they sell out.